Rob Heaslip Dance are looking for a Designer to join our creative team for ENDLING – Part 1 of the eagerly anticipated trilogy A Glimpse of Flesh and Blood. ​ENDLING will premiere in Scotland in October 2019. The engagement period is between Sept. 9th & 29th with flexibility of schedule; however you must be available to attend our production week in Glasgow w/c Sept 30th. A fee of £2,500 is provided, as well as an expenses/materials budget. The Designer will join a Production Manager and a Lighting Designer; and will collaborate with Artistic Director Rob Heaslip to oversee the set, prop and costume elements of the work. 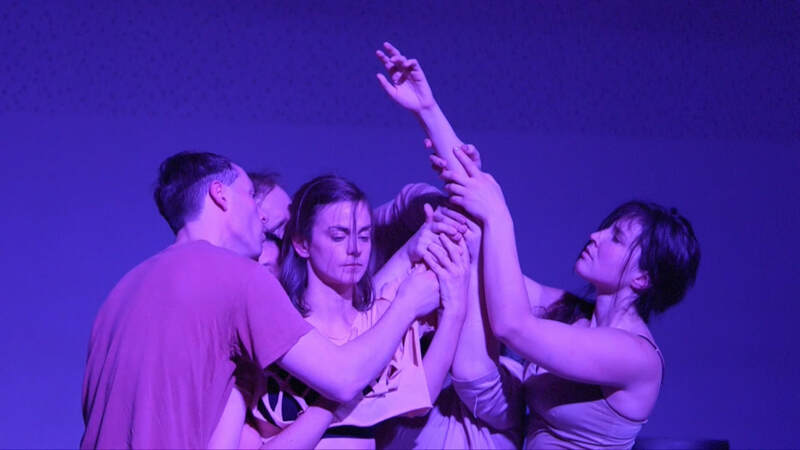 ENDLING is a piece of dance-theatre ​re-imagining funerary rites and customs from the north-western edge of Europe. ​Endling is where dance, vocals, music, design and a mound of confetti tell tales of funerary and mourning rituals, their chants, songs and practices; many now already dead or dying. You must have previous experience designing for contemporary dance work. Please use ENDLING DESIGNER in the subject bar and include your CV and any visual material that you feel best portrays your work. ​Rob Heaslip awarded GUIR! New Gaelic Work Programme. Eden Court, Inverness. Feb 21st. Rob Heaslip Dance at Federation of Scottish Theatre Emporium. ​The Beacon, Greenock. Mar 13th & 14th. New Work-In-Progress with Laura Murphy. ​Dance Base Edinburgh Apr. 29th. ​Dance Base Edinburgh May 13th. ​New-Solo-Work-In-Progress in association with Glasgow Life. Craignish Village Hall, Aug. T.B.C.